Have you ever had a goal that you just couldn't achieve? Were there roadblocks in your way when you started something but you just couldn't achieve it? Do you have an idea of something big but you don't know how to get started? I have created a system that may help you get what you want. 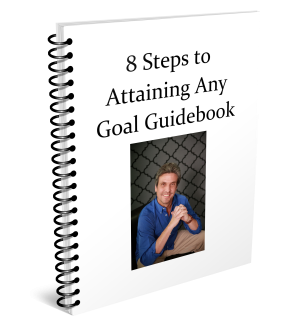 I call it the 8 Steps to Achieving Any Goal and I created a guidebook to help you achieve this. Just enter your name and email and you will get your own copy of this Guidebook now.